Today Vytautas Magnus University (VMU) and Korea University (KU) signed a partnership agreement which allows both institutions to start student exchanges and pursue closer academic cooperation. 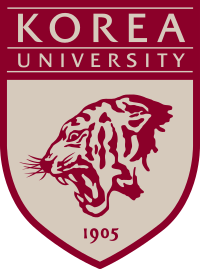 KU is one of the oldest, most prestigious and highest ranked private universities in South Korea. According to QS World University Rankings, KU falls among top-100 universities in the world and is considered to be among top-3 universities in South Korea. The KU campus is located in the northern part of Seoul where more than 28 000 students seek education in 17 colleges and schools. Interaction with Korea University was initiated by the Centre for Asian Studies already in 2016 when Prof. Sunhyuk Kim, a renown specialist of Korea’s civil society, was invited to Center’s annual international conference as a keynote speaker. This allowed to discuss what common interests VMU and KU have, and in what areas these two universities could seek mutual benefit. The timing seemed to be very convenient because it was possible to organize visits of VMU Rector Prof. Juozas Augutis to KU and KU Rector Prof. Jaeho Yeom’s visit to VMU in a matter of several months. This latter visit was marked with the ceremony of signing the official cooperation agreement, which makes KU VMU’s 12th partner university in South Korea. The agreement will provide opportunity for VMU students to spend a semester or two in KU as exchange students, as well as KU students to come to Kaunas. Due to growing interest in Lithuania in Korean society, culture, language, economy and politics, and the recent establishment of King Sejong Institute in Kaunas, agreement with KU becomes especially valuable. Academic cooperation has already began with a good start when prof. Kim participated in the conference held at VMU and later contributed an article to a book published by the Centre for Asian Studies. We hope that such positive interaction can be continued in the future.